As of December 06, 2018, WordPress 5.0 “Bebo” is here! If you ignored all the other updates this year, now’s the time to buckle down and take notice as this is the biggest update for 2018. 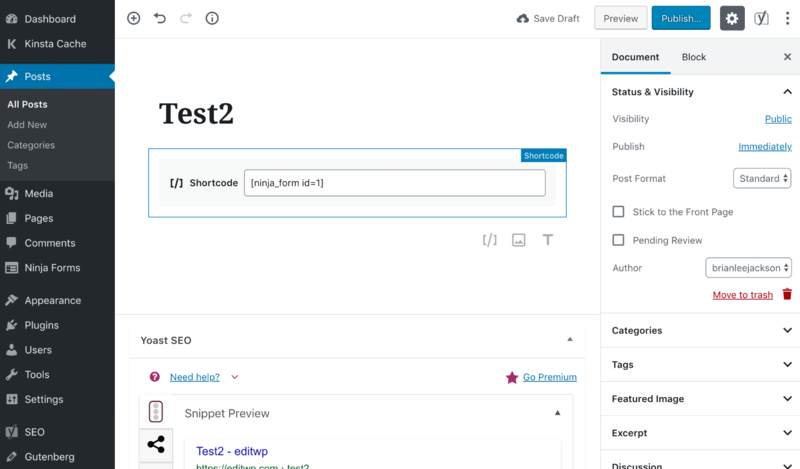 WordPress is completely revamping how users and developers use the CMS with their new Gutenberg editor. It’s now all about blocks. We also have a fresh Twenty Nineteen theme which is the default on new installations. As with any new version of WordPress, we always recommend testing. This might sound like a broken record, but because this release impacts everything from the editor, to third-party plugins, and even your theme, testing is not optional! If you don’t test, things could easily break. This is one release where you don’t want to just click that update button. That being said, let’s dive into everything that’s new with WordPress 5.0 release. WordPress 5.0 changes everything! ?Check out what’s new in the biggest release of the year. Try FASTDOT premium WordPress hosting to experience your site without problems. 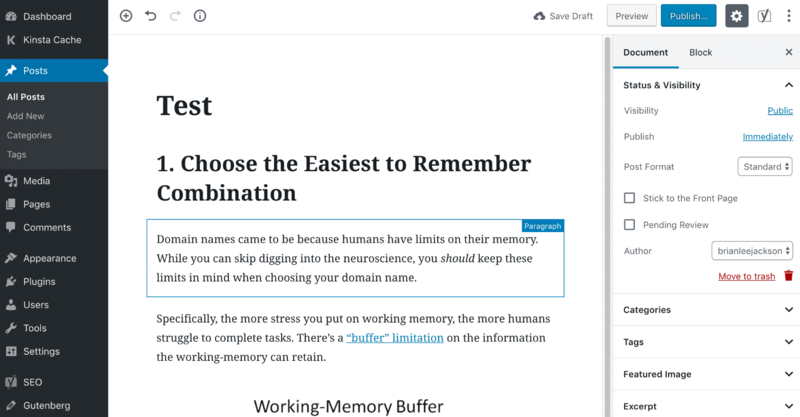 With WordPress 4.8 (Evans) we got a multitude of new widgets and improvements, along with a handy improvement to how links work in the visual editor. With WordPress 4.9 (Tipton) we saw a significant step toward a more user-centric way to customize and manage websites, with great improvements to the Customizer, new exciting functionalities to widgets, a powerful text editor for editing code. Other than that, minor changes and bug fixes are only being looked at on a case-by-case basis. In reality, it’s all about Gutenberg. ? While at first, this might sound like there isn’t that much changing, but that couldn’t be further from the truth! Gutenberg is an attempt to push WordPress as a CMS forward in website building space. In fact, the WordPress team is planning on moving away from the old release cycle where we only get small updates to one where we’ll see bigger changes happening at once. However, they have also said the plan is to have a minor WordPress release twice a month now that WordPress 5.0 is released. In fact, you might have already seen a callout about it in your WordPress dashboard. This was added in the WordPress 4.9.8 minor release as a way to give users a heads up that this is really happening. Gutenberg is the default and only editor on fresh WordPress 5.0 installations. Don’t worry, you can install the Classic Editor plugin if you want. This will allow you to continue using it alongside the new Gutenberg editor. However, fair warning, the WordPress team has said that the Classic Editor plugin will only be officially supported until December 31, 2021. So we highly recommend diving into Gutenberg and WordPress 5.0 sooner than later. Why is this happening? There are a couple of reasons. The first is that even though the self-hosted version of WordPress is open source, Automattic, the team behind WordPress.com is still a business. It needs to compete with all of these other website building solutions such as Wix and Squarespace. If you take a look at the WordPress market share, from 2017 to 2018, year-on-year growth is at around 17.3%. While that seems great, take a look at some of the competitors. Squarespace grew by 180% and Wix grew by 233%. And while the open source project and the business are technically separate, they go hand in hand with each other. In other words, WordPress needs to catch up! Why do you think all the fancy page builder plugins are growing at an unbelievable rate? It’s because people need easier ways to build their websites and write content. Even other publishing platforms such as Medium and Ghost frankly have a much better writing experience if you’re just wanting to blog. This isn’t necessarily a bad thing. After all, competition is what drives the product and community forward faster. 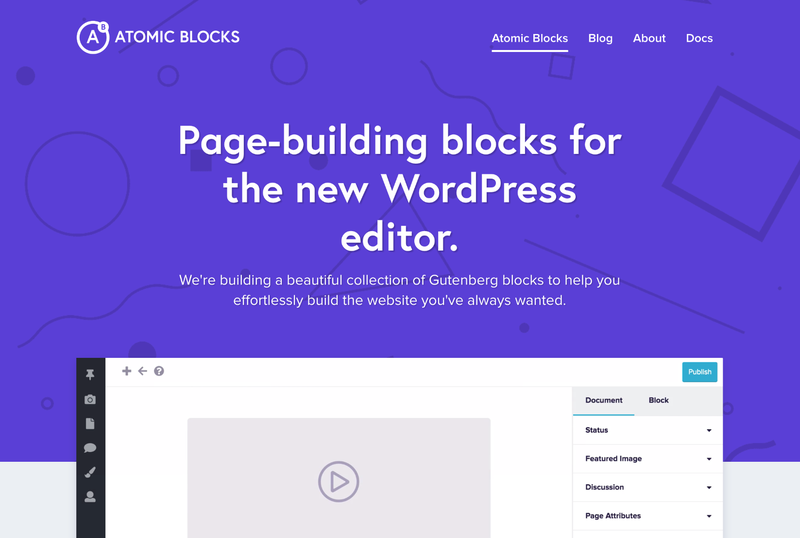 Because of how it is structured, it opens up a whole new world for developers in terms of “block development.” Remember, everything in Gutenberg is about blocks. So you’ll probably be hearing that term a lot. But it can also complicate things as typically developers would need to learn new languages. However, thankfully, the WordPress community has come to rescue and there are great open source projects such as create-guten-block. Essentially this is a zero-configuration dev-toolkit (#0CJS) to develop WordPress Gutenberg blocks in a matter of minutes without configuring React, webpack, ES6/7/8/Next, ESLint, Babel, etc. You would think that with all of this, the aim would be to improve performance? While we hope this is the case, a lot of reports so far are indicating slower performance. Note: Some of these should be taken with a grain of salt as the Gutenberg team has been pushing out a lot of updates. And now that WordPress 5.0 is officially here, you can expect a lot more to come. The other downside to this is that most (not all) WordPress theme and plugins have to be rewritten to work with Gutenberg. 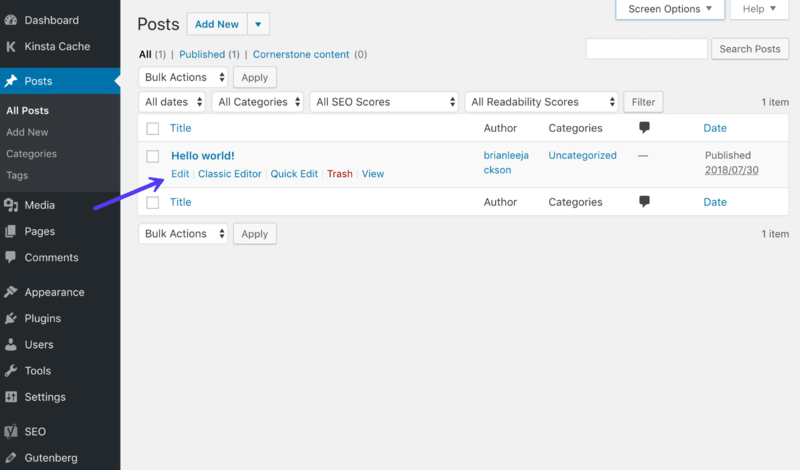 Mainly those that interact with the WordPress editor. Yoast SEO is a great example of a WordPress plugin developer that jumped on board really quick! They pushed out their first Gutenberg update back in July 2017, and have been releasing new ones ever since. Even though they were first worried about accessibility. The WordPress team has now issued a statement regarding accessibility in Gutenberg. If you want to dive into all of the features of Gutenberg and really see how it works, check out our deep dive into the Gutenberg WordPress editor. If you’re not ready yet you can delay this change by disabling the Gutenberg WordPress editor. 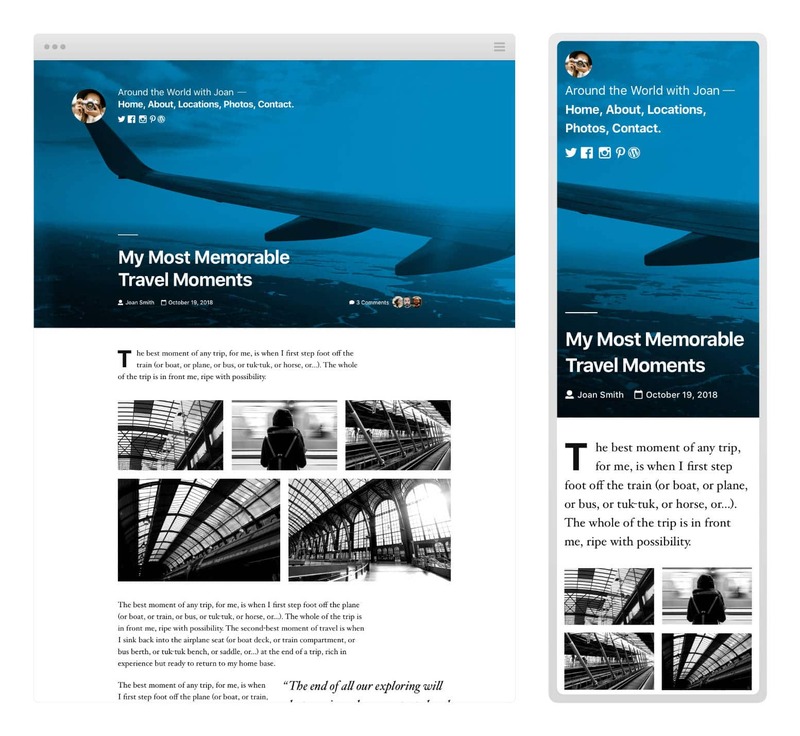 WordPress 5.0 also includes the new minimal Twenty Nineteen theme. It is shipping with full Gutenberg support, both on the front and back-end. We’ll be covering this theme more in-depth in an upcoming post. ? With WordPress powering over 32% of all websites on the internet, any major change like this is bound to cause some controversy. After all, let’s be honest, the WordPress editor really hasn’t changed much at all in the past decade. If you take a look at the Gutenberg WordPress plugin, with over 700,000 active installations, it has a rating of 2.3 out of 5-stars. With a whopping 900+ 1 -star ratings. While this doesn’t look good, it’s important to realize that people have been rating Gutenberg ever since it was in beta. Also, with such a huge change, there are bound to be some reviews from users who are simply resistant to change. We took a poll on Twitter to see what users think of Gutenberg right now. With over 450 votes, 42% say they haven’t used it much and therefore don’t really have an opinion either way. With WordPress 5.0 and Gutenberg quickly approaching this is kind of scary in itself. Another 28% say they hate it, 19% say they love it, and 11% say it’s growing on them. Ian from Declious Brains also has a very good post where he shares a lot of valid concerns for Gutenberg. No matter how you look it, due to the fact that WordPress is pushing all of these new languages and technologies, sites, when upgraded to WordPress 5.0, are simply going to break. There is no preventing it. Unless every single plugin and theme you’re using has been fully updated, which in most cases it hasn’t, you might be in for a world of hurt when it comes to troubleshooting. And who does this impact the most? Agencies, freelancers, and developers. Which is why this big of an update might have you concerned. If all that isn’t enough, ClassicPress has emerged. 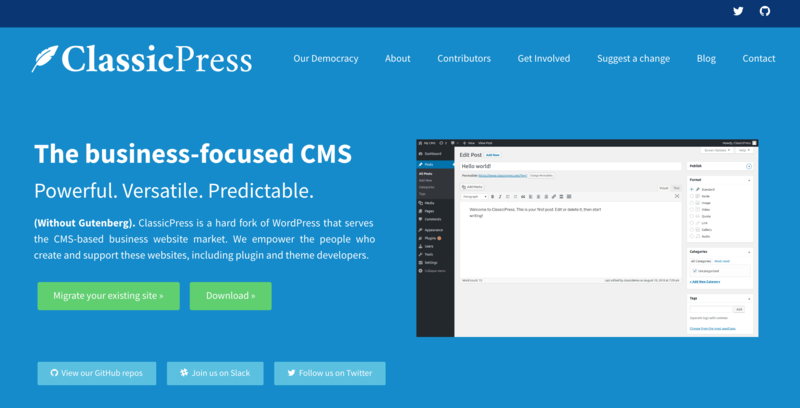 This is a hard fork of WordPress (without Gutenberg) that serves the CMS-based business website market. The concern here is are we going to start to fragment? Even their team doesn’t know yet how they will handle plugin and theme compatibility yet. Either way, this is definitely an interesting project to keep an eye on. So now the question you probably all have, when is WordPress 5.0 coming out? The WordPress core team originally set a target release date of November 19, 2018. However, this was a tentative date. As of December 6th, 2018, WordPress 5.0 is now officially here! If you’re working with clients running on WordPress this is something to keep in mind. You can, of course, install the Classic Editor or simply put off updating until later. Either way, you should have a game plan for the holidays. The last thing you want is your client calling you up complaining about their site being broken after they upgrade to WordPress 5.0. We can’t stress enough how important testing WordPress 5.0 and Gutenberg is. You really need to make sure all of your plugins and theme are going to work properly. If you have a custom built solution, make sure to start reaching out to a WordPress developer to get it updated. This is not something your WordPress host will be able to fix for you. 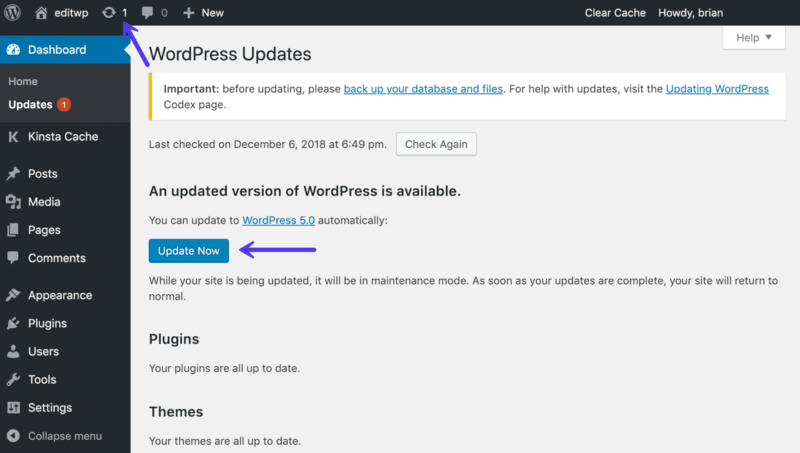 It’s important to note, that unless you have specifically configured WordPress to auto-update major releases, you will have to manually update to WordPress 5.0. By default, WordPress only auto-dates minor releases in its own branch, like 4.9.7 to 4.9.8, not major releases like 4.9.8 to 5.0. WooCommerce has released an official statement regarding the release of WordPress 5.0. If you’re running WooCommerce, make sure to update to WooCommerce 3.5.1+ before updating to WordPress 5.0 to avoid breaking changes. The team over at Yoast is consistently pushing out new features, bug fixes, and improvements for Yoast SEO and Gutenberg compatibility. We highly recommend updating to the latest version (version 9.2.0 was released on November 20th) before updating to WordPress 5.0. We highly recommend installing WordPress 5.0 on a test site or utilize your host’s staging environment. This way you won’t affect your live site. If you aren’t testing on a development or staging site (which you should be) make sure to take a complete backup of your WordPress site. There are a lot of great WordPress backup plugins you can utilize. However, due to the fact that WordPress 5.0 is such a huge change, we also recommend taking a downloadable backup of your entire site. This includes all of your files and your MySQL database. You never know, you might miss something after those 14 days have passed. It’s always handy to be able to launch a backup if needed. FASTDOT clients can download a full backup with a simple click anytime in the FASTDOT dashboard. Depending on your hosting provider, your website might automatically update to WordPress 5.0 after it’s released. WordPress core doesn’t do this by default. We will not upgrade your site to WordPress 5.0 automatically unless you’ve set WP_AUTO_UPDATE_CORE to true in your site’s wp-config.php file. This is intentional, as you should always test first. WordPress 5.0 is available in your admin dashboard. Simply click on the updates icon in the toolbar. Then click on the “Update Now” button. While your site is being updated, it will be in maintenance mode. As soon as your updates are complete, your site will return to normal. As long as everything goes well with the update you should then see the “What’s New” screen. And that’s it! Quick and easy. As with every new release of WordPress, there are always some that experience issues, and that is due to the thousands of different plugins and themes currently co-existing in the market. Here are a few ways to troubleshoot common issues. Getting the white screen of death? This is commonly resolved by simply restarting PHP and deleting the full page cache on your WordPress site. Seeing a “Briefly unavailable for scheduled maintenance. Check back in a minute” screen that won’t go away? Your site might be stuck in maintenance mode. Try deactivating all your plugins to see if that fixes your issue. Then reactivate them one by one until you find which plugin might need an update from the developer. Try switching over to a default WordPress theme, such as Twenty Nineteen (once it’s available). If this fixes your problem, you might want to reach out to your theme developer. 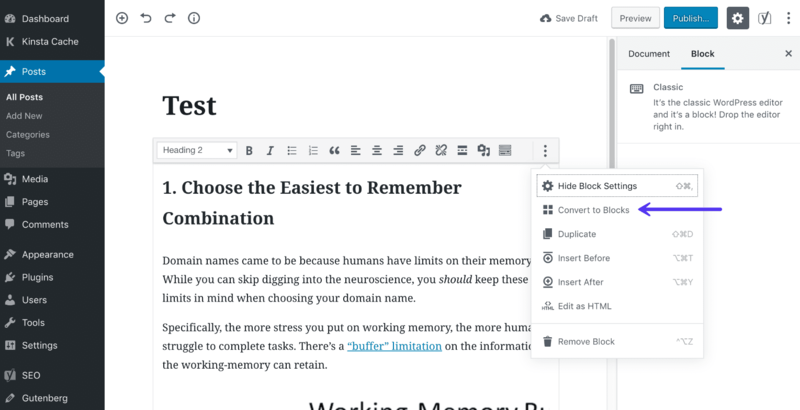 With WordPress 5.0 comes the new Gutenberg Editor. You can disable this and restore the classic editor if you want. Or perhaps you find a bug that breaks something. 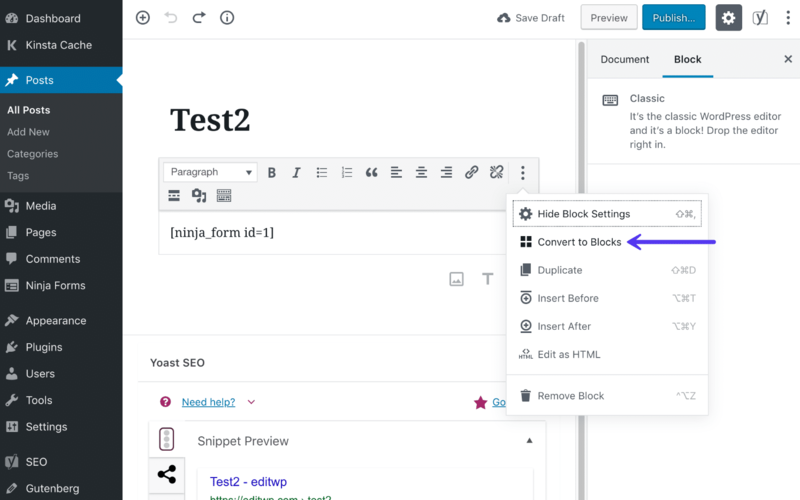 As part of your testing with Gutenberg, you’ll want to make sure that all of your third-party plugins and theme work with Gutenberg. Anything that interacts with the WordPress editor will most likely be affected. Yoast SEO is a good example as it has custom meta boxes. Advance Custom Fields would be another one. After installing WordPress 5.0, the “Edit” option under your pages and posts will automatically open in the new Gutenberg editor. If you have the classic editor plugin installed, you’ll also see an option for that as well. What Happens to Current Content? Everything will then be automatically converted into the new Gutenberg blocks. The shortcode is then turned into a Gutenberg shortcode block. The contact form still renders fine on the front-end. WordPress 5.0 and Gutenberg is the biggest update to WordPress that we’ve had in a long time. It affects everyone, from how users interact with the editor and write content, to how developers code plugins and themes. Only time will tell how successful the Gutenberg project is. But no matter what, we encourage everyone to test WordPress 5.0 on a staging environment before upgrading. Have any thoughts regarding WordPress 5.0 or Gutenberg? We’d love to hear what you think about it.